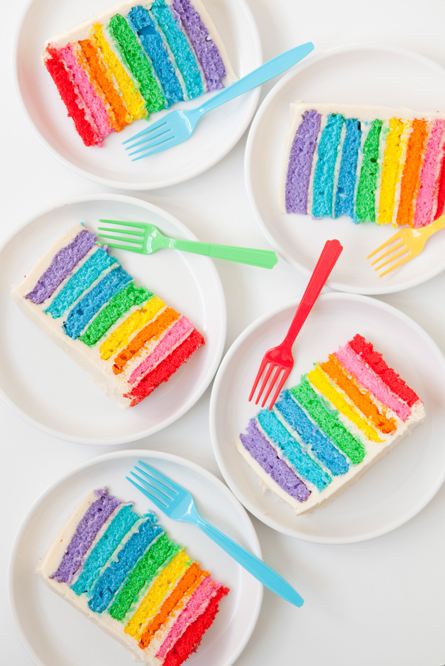 Check out this rainbow cake, and if you are inspired read the about the entire party here! There is even a downloadable PDF with instructions! I love these. I made cupcakes like this not to long ago! All the different batter on top of each other, so they are rainbows but they all cook different so each cupcake looks different on the inside! Those are super cute, and I love gel food coloring. I will never go back to liquid!